I’ve walked past this log so many times….finally noticed it this evening. Look at those character lines. Don’t you want to get out a saw, a plane, some urethane? Look at all the sweet botanicals that have set up housekeeping in its nooks and crannies. And it lies there with a view many of us would die for. Heckuva wave to put that big chunk so far above the usual waterline. And don’t you want to know where it came from, what it was once a part of, etc.? Ohhh yes! 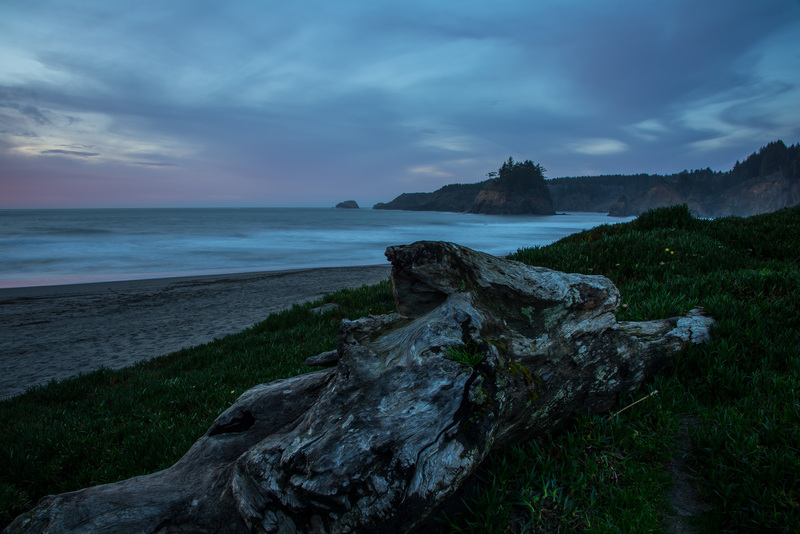 I don’t understand how these massive chunks of trees get into the ocean and up onto beaches….some are sawed off pieces, and some are whole trees with their roots attached! They must wash into rivers that flow into the Pacific…what a journey!